I work in the oil & gas industry, a very much office-based job. My role is not very active, unfortunately. What is your fitness history? I’ve always been into training or fitness, in some form or another throughout my life. I did athletics and swimming at school, I got into running for a time and spent some time in the reserve forces (doing a bit of rock climbing and periods of weight training through out). Unfortunately, after having children, I didn’t train or do anything healthy for about 3 years (see picture) I just got out of the habit and clearly kids keep you busy! What motivated you to start training again? I felt terrible! I was overweight and lazy. I had low self-confidence, pains from getting older and generally unfit/weak…….something had to change. We had a trip to Las Vegas booked and that was the trigger. That gave me just over a year to get in shape with Peak Health. What were your fitness goals at the time? Very simply, I wanted to look and feel as good as possible (given I’m not as young as I was). Clearly, I wanted to drop some body-fat and get healthy again. I initially thought I wanted to get as big and strong as I could, but as things developed I got confused about what I wanted. Paul at Peak Health helped me understand what I wanted and how to get there. I decided that whilst strength and size is important to me, focussing on being lean made what I had look all the better. I also feel better for not carrying too much bulk now. Now you’ve started training again, what motivates you to keep going? Results! There is nothing more inspiring to me that getting that PB (Personal Best) lift, seeing muscles develop or seeing body-fat drop and vascularity increase. Health benefits and general wellbeing too! It took a little while to see any results and it’s hard at first, but, once it starts, it’s addictive! Not to mention that I feel 10 years younger. In addition to that, training at Peak Health is superb. The facilities and equipment are great, the people who train there are friendly and motivated, plus the staff are superb. All of this together makes you want to train even harder. What are the most important elements to achieving your Health & fitness goals? Consistency is the most important factor for me – consistent with your training and your nutrition. I don’t think you have to go too crazy with your training, or too strict with your diet to get good results, providing you are consistent. I still have a life, I enjoy going out for a beer and the odd takeaway etc, but, you can’t get away with it all the time – unfortunately! Generally, it’s pretty good and this is one of the areas Paul at Peak Health has really helped me with. Nutrition is a complex science, what to eat to suit your goals, when to eat, how much to eat & how best to structure your resistance training vs CV training to get the best fat-burning and the list goes on…..Paul really knows his stuff and it helped me work through a number of barriers in terms of strength, gains and fat-loss. Invaluable advice. A: Yes. I think they are crucial once you get to a certain point. 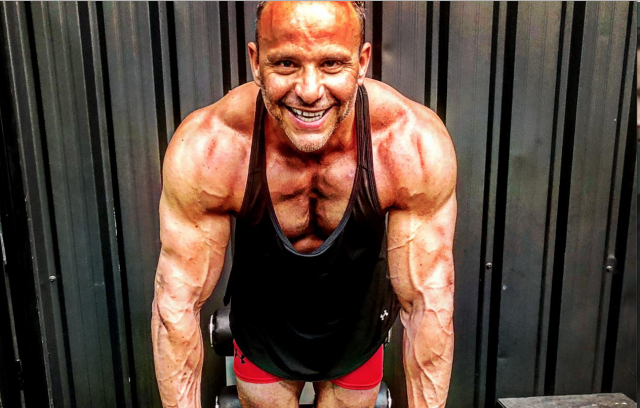 I use mostly use whey protein and creatine (and NOT just any creatine….Peak Health can explain why!). I also take general health supplements like Omega-3, glucosamine & milk thistle. Not all products are the same, Peak Health hand-select products to get me the correct variant, dosage etc. Just getting enough protein without them is next to impossible and the correct supplements make it quick and easy. The right type of supplement is important, Paul gave me some great advice on protein. 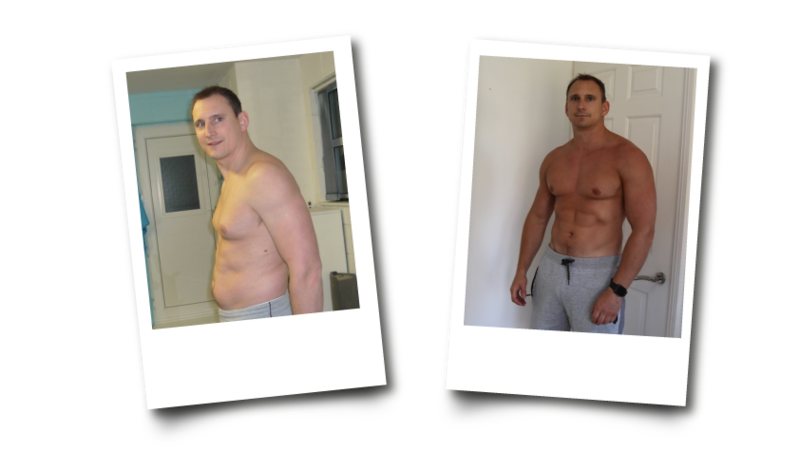 I changed my approach and saw immediate results in terms of fat-loss without any muscle loss. A: It varies, depending if I am at work or not, but at least 3-4 times per week. I’ll spend just over an hour in the gym on average, I guess. I’ll throw the odd run in at home or a HIIT session or two per month. 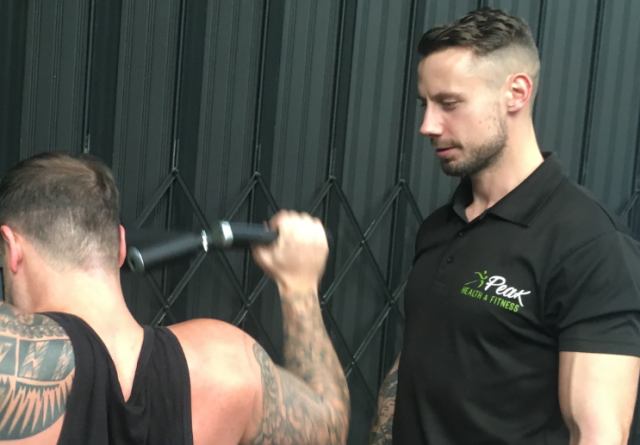 Another area Paul at Peak Health has helped me with, is how to get the best results from my training. I hit a number of sticking points along the way, certain muscles that wouldn’t grow or stuck on my max bench press etc. Paul gave me great advice on how to overcome them………….and it works! Are you happy with how you are now? I’ll never be fully satisfied…who is? But, generally yes. I’m probably in the best shape of my life all round, which isn’t bad for 39. I feel so much better for being in shape too.